Call 510-205-7213 for a free quote today! Dent Mender provides its customers with a cost effective means of automotive dent removal. The typical savings can be as much as 70% of bodyshops in some cases the cost savings could be in the thousands. . Dent Mender has been serving the bay area since 1996 and prides itself on high customer satifaction. The most minimal dent repair in a body shop will take 2 days while our method is usually completed in under an hour with no additional material costs. Our methods consist of sculpting out small dings and dents to the oringinal shape without scratching, cracking, chipping or maring the paint. These methods are very effective on all metal and some plastics ( bumper dents ).This includes all vehicle makes foreign and domestic ( Toyota, GM, Mercedes, BMW, Honda, Lexus, and Infinity to name a few ). These procedures work most effectively on cars with thicker gauge metal. Our method's are very effective on removing crease type dents and dings ( deeper part of dent usually caused by the initial impact area ). The dents are first prepped by removing trim to gain access behind the dent. This access is used to place specially fabricated panel sculpting tools for removing the dents. Some cars require more time to remove trim ( other companies drill small holes to gain access to dents Dent Mender does not drill holes!! ) Our business is constructed on honesty, employee satisfaction, and customer refferals. avoid costly auto body repair bills? 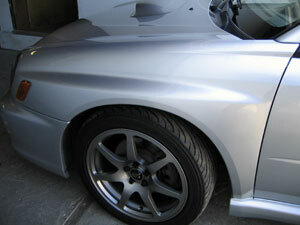 avoid putting bondo and auto body fillers on your car? avoid costly auto paint repair bills? avoid having your car out of commission for long periods of time? 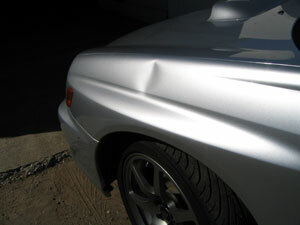 Paintless dent and ding removal is the right answer and you have come to the best company to do it right. Now Serving the Castro Valley, Hayward, San Leandro, San Lorenzo, Alameda, Albany, El Cerrito , El Sobrante, Oakland, Orinda, Lafayette, San Ramon, Fremont, Newark, Pleasanton, Concord, and Dublin. We cover Alameda county and Contra Costa Co as well. Environmentally safe, no toxic chemicals used. For immediate response and quote - contact alexr@dentinc.com.